In this guide, we will demonstrate how to install and configure some components on CentOS 7 to support and serve Django applications. We will be setting up a PostgreSQL database instead of using the default SQLite database. We will configure the Gunicorn application server to interface with our applications. We will then set up Nginx to reverse proxy to Gunicorn, giving us access to its security and performance features to serve our apps. Once we have our database and application up and running, we will install and configure the Gunicorn application server. This will serve as an interface to our application, translating client requests in HTTP to Python calls that our application can process. We will then set up Nginx in front of Gunicorn to take advantage of its high performance connection handling mechanisms and its easy-to-implement security features. To begin the process, we'll download and install all of the items we need from the CentOS repositories. We will also need to use the EPEL repository, which contains extra packages that aren't included in the main CentOS repositories. Later we will use the Python package manager pip to install some additional components. This will install pip, the Python package manager. It will also install the PostgreSQL database system and some libraries and other files we will need to interact with it and build off of it. We included the GCC compiler so that pip can build software and we installed Nginx to use as a reverse proxy for our installation. We're going to jump right in and set PostgreSQL up for our installation. This file is responsible for configuring authentication methods for the database system. Currently, it is configured to allow connections only when the system user matches the database user. 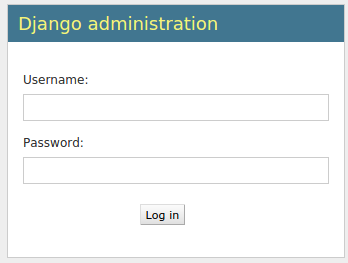 This is okay for local maintenance tasks, but our Django instance will have another user configured with a password. Now that we have PostgreSQL up and running the way we want it to, we can create a database and database user for our Django application. Every command must end with a semi-colon, so check that your command ends with one if you are experiencing issues. Now that we have our database ready, we can begin getting the rest of our project requirements ready. We will be installing our Python requirements within a virtual environment for easier management. Start by finding the section that configures database access. It will start with DATABASES. The configuration in the file is for a SQLite database. We already created a PostgreSQL database for our project, so we need to adjust the settings. This will start Gunicorn on the same interface that the Django development server was running on. You can go back and test the app again. Note that the admin interface will not have any of the styling applied since Gunicorn does not know about the static content responsible for this. We have tested that Gunicorn can interact with our Django application, but we should implement a more robust way of starting and stopping the application server. To accomplish this, we'll make a Systemd service file. Next, we'll open up the [Service] section. We'll specify the user and group that we want to process to run under. We will give our regular user account ownership of the process since it owns all of the relevant files. We'll give the Nginx user group ownership so that it can communicate easily with Gunicorn. The nginx user must have access to our application directory so that it can serve static files, access the socket files, etc. CentOS locks down each user's home directory very restrictively, so we will add the nginx user to our user's group so that we can then open up the minimum permissions necessary to get this to function. You should now have access to your Django application in your browser over your server's domain name or IP address without specifying a port.